The Juan de la Cierva 2019 Incorporación Grants aim to encourage the recruitment of young doctors for a period of three years in order to strengthen the skills acquired during a first stage of postdoctoral training by Spanish research organizations or R&D centres. The selection is based on a process of competitive competition of the candidates, on the basis of their curricular merits, and on the scientific-technical record of the research team which they wish to join, with special relevance given to the merits related to the tutor researcher. Granting of a maximum of 225 three-year grants for the recruiting of doctors by Spanish R&D centres, out of which 4 grants are reserved for recruiting doctors who participate for the call for people with a disability equal to or greater than 33 percent. 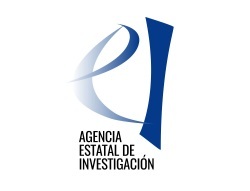 The aid, whose annual amount is 29.000 Euros, is used to co-finance the salary and the company´s contribution to the Social Security system of the researchers hired during each of the annuities. In addition to the above, an additional grant of 6.000 Euros will be granted for each researcher hired to cover expenses directly related to the execution of the research activities of the researcher hired. Candidates must meet the requirements of being doctors and having obtained a doctorate between January 1, 2014 and December 31, 2016 for the general access call and between January 1, 2013 and December 31, 2016 for the call of persons with disabilities equal to or greater than 33%, unless they accredit an interruption cause according to the call.